The Why: It isn’t a traditional bagel, but for what it is, it is pretty amazing. 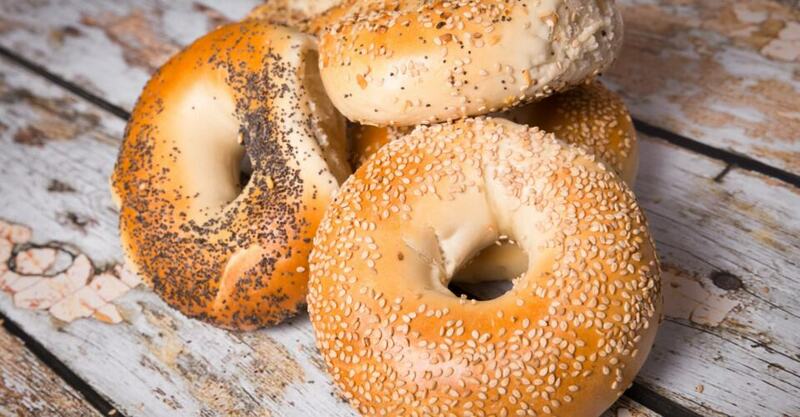 The #Health Bonus: To keep them low in calories, Western Bagel has replaced flour with a combination of oat fiber, inulin [fiber/bulking agent] and wheat starch, which helps reduce the carbs and increase the dietary fiber. What We Liked Best: We loved all the flavors, but our favorite was Sweet Wheat, which actually has 1 more gram of both #protein and fiber than the others. What We Liked Least: They’re not 100 percent whole grain, and they’re a bit small. Also, you have to buy them from the website because they’re not available everywhere. The Price: $3.50 per bag. Offerings: Cinnamon Spice, Sweet Wheat, Country White, Roasted Onion and Very Blueberry. Where to Buy: Kroger, Publix, Albertson’s, Company website. Ingredients: Enriched Unbleached Flour (Wheat Flour, Malted Barley Flour, Niacin, Reduced Iron, Thiamine Mononitrate, Riboflavin, Folic Acid),Water, Whole Wheat Flour, Wheat Gluten, Corn Starch, Inulin, Oat Fiber, Wheat Bran, May Contain 2% Or Less Of: Calcium Sulfate, Enzymes, L-Cysteine,Yeast, Salt, Calcium Propionate And Sorbic Acid (Preservatives) Artificial Flavor, Dextrose*, Sucralose (A No Calorie Sweetener).